Are you thinking about getting a car title loan in California? If so, it’s essential that you understand the various State laws and regulations. California has recently been the center of attention when it comes to short term lending. Loans like title loans and payday loans been available for years now. During that time we’ve seen many attempts to regulate the lending industry. It’s important to know exactly what you’re getting in to before signing off on a loan. That’s why we’re here to discuss the car title loan rules in California and make sure you have all the needed information before getting one. With most types of equity loan, you get cash from a lender. That company will then hold the clean title to your vehicle in case you don’t pay them back. Your vehicle will be held as collateral in this scenario, helping you to secure the loan. California title loans are generally easy to get as long as you have equity in a vehicle. Most borrowers can get some type of funding regardless of their credit card rating. Car title loan laws in California don’t have specific requirements. That means they fall under the restrictions already in place for payday loans and installment loans. With most cash advances you’re going to have small loan amounts as they’re unsecured forms of borrowing. An online title loan can be authorized for thousands of dollars as there is a vehicle’s pink slip backing the loan. There is no specific requirement for what kind of a car will a lender accept. However, the majority of lenders prefer vehicles under ten years old. Many of the largest California title loan companies will use the car’s Kelly Blue Book Value to determine a finance amount. If it’s a vintage car, the regular rules may not apply. California title loan laws don’t specify what creditor’s may or may not require when it comes to collateral or underwriting. This lack of stipulations gives creditors freedom in creating their own set of rules according to their preferences. This can viewed in different ways. But it often leads to more flexibility with finance terms and length of the loan. In California, state laws dictate that $2500 is the minimum amount you can borrow. Anything going under that amount won’t be applicable for you to get a car title loan. When it comes to title loan interest rates, these are usually very high. Much like cash advance and payday loans, finance charges are high and it’s important to pay the loan off early. Besides that, the California law doesn’t actually limit how much the creditors can charge. There is no charging limit on loans that exceed the $2,500 amount. 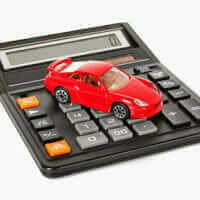 A Lender will often set a limit that equals a certain percentage of the vehicles total equity. For instance, if you end up taking exactly $2,500, the creditor may charge either $50 or up to 5% of that amount. Also, any amount that exceeds $4,999 won’t have a capped interest rate. As far as other costs go, the lender may charge processing and administrative fees. The law requires them to inform you what the total amount is with all the fees and the interest rate they are charging you, before signing the contract. These rates and fees will mirror the charges you see with most payday loans issued in the state. Repossession can take place once there is a breach of contract. That means your vehicle can be taken anywhere in California if you miss a loan payment. It can also occur if the lender finds out the information you gave them isn’t valid. While this is a serious matter, most legitimate pink slip lenders don’t want to go this route. Many companies will try to work with you and setup alternate payment plans. If you miss a payment, you might have a certain amount of time before repossession takes place. That way, you can keep your vehicle by catching up on what you owe. According to the California title loan repossession laws, the creditor can take the vehicle as soon as payment is one day late. Besides that, the creditor isn’t obliged to give you any prior notice that they are taking your car. All in all, the specific terms should be in your contract. Make sure you read it and understand it completely. That way, you’ll reduce the risk of failing to abide by the contract. Contact your lender if issues come up and you can’t make payment on a CA title loan! If a title lender takes your car, there are certain rules and laws they need to follow in California. They must notify you within 48 hours after repossession about where your vehicle is and how you can get it back. You will have 60 days before the agency can discard or sell your vehicle. That gives you a 60-day window to catch up on what you owe and get your car back. In case you fail to do so, your car will be put up for sale at auction. In a situation like this you want to know that you’re working with a decent company. Be sure to view our CA title loan application page if you’re reading this and have not yet found an online lender. A California title lender must inform you about their intent to sell your car with at least 15 days’ notice. You should receive the notification within 60 days after the repossession in California. You have the right to ask that they put the sale on hold for ten days. If your lender ends up selling your car for a higher amount than what you owed them, they must return the extra money to you within 45 days. If they sell it for less, you will need to pay the rest of what’s left of the loan. Under certain circumstances, the lender can keep your vehicle. Situations like this don’t occur often. But it’s important to understand what happens if a California lender repossesses your car and doesn’t sell it at auction. An online title lender may want to prove you tried to hide your car to avoid repossession. They may hold on the car to prove damage. Or they may want to prove a need to reduce the vehicle’s value. They may keep the vehicle if you gave them invalid information on the loan contract.